Katherine Tegen Books, 9780062048653, 416pp. Fans of Maggie Stiefvater and the hit television show True Blood will flock to this first book in the supernatural mystery series set in a town where werewolves live in plain sight. Mackenzie Dobson's life has been turned upside down since she vowed to hunt her best friend Amy's killer: a white werewolf. Lupine syndrome—also known as the werewolf virus—is on the rise across the country, and bloodlust is not easy to control. But it soon becomes clear that dangerous secrets are lurking in the shadows of Hemlock, Mac's hometown—and she is thrown into a maelstrom of violence and betrayal that puts her in grave danger. Kathleen Peacock's thrilling debut novel provides readers with a mystery that Kimberly Derting, author of The Body Finder, calls "clever and frightening," while Sophie Jordan, New York Times bestselling author of Firelight, raves: "Forget every werewolf book you've ever read. This one breaks the mold." Kathleen Peacock spent most of her teen years writing short stories. She put her writing dreams on hold while attending college but rediscovered them when office life started leaving her with an allergy to cubicles. 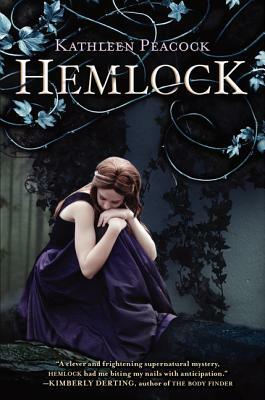 Willowgrove is the final book in the Hemlock series.